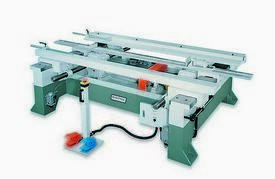 The 5’ x 10’ horizontal stile and rail door assembly press features a double screw operation with a self-squaring device. 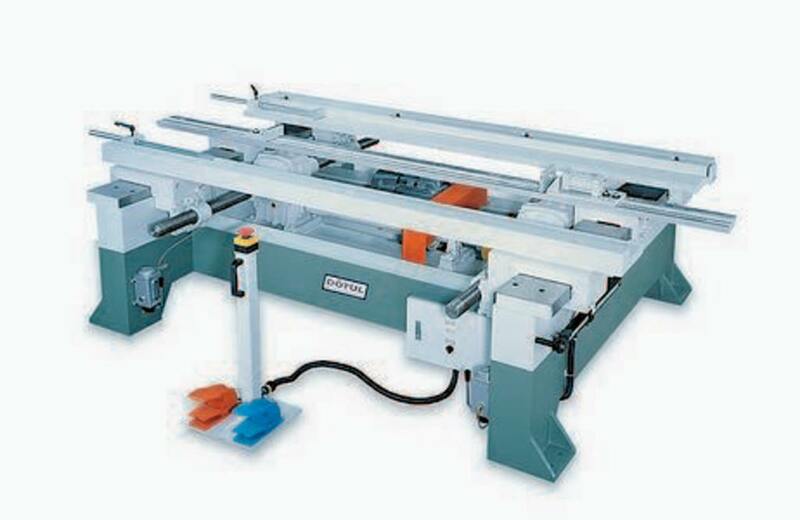 Additionally, the machine has a center support to allow the stile and rail door to be assembled from the inside out. The center of the door is held in place with an air cylinder, mounted on the center support beam, this can be used to hold the door parts in place while the stiles are closing onto the rails, this will prevent the door parts from getting damaged by the coped rails sliding across the profiled door members, when assembling the door. It can be used to assemble fixed louver doors, or rolling slat shutters. Both 8’ and 10’ presses are constructed of heavy-duty steel including the stile assembly arms which are operated by four (4) 2½” double acting high-speed screws driven by two gear drives, powered by a 7½ hp 220 volt 3-phase brake motor. There are lubricators for both sides of the press, insuring the moving parts are lubricated. Foot pedals are set on a stand with an EMERGENCY STOP. Floor Space Requirement 72" x 136"